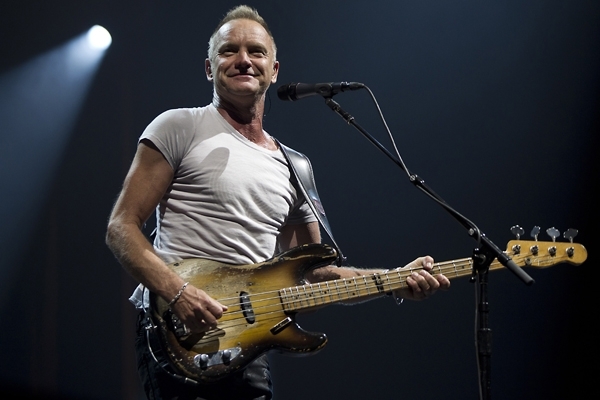 Sting will release his first full-length album of original material in a decade this September. The Last Ship, the follow-up to 2003's Sacred Love, grew out of musical of the same name that Sting has been working on, The New York Times reports. The musical, set in a shipyard near Wallsend, England, could make its Broadway debut in 2014. The album will feature several songs from the musical including the title track, which is a waltz-time folk tune with Christian images related in a North England dialect; along with "And Yet," a funk number sung from the perspective of a sailor returning home wondering about the woman he left behind when he he shipped out. The songs, which Sting has been working on for nearly three years, seek to advance the plot of the play and emphasize storytelling. The Grammy winner's collaborators have included Skyfall writer John Logan and playwright Brian Yorkey. The play is a homecoming story set during the decline of the shipbuilding industry in England during the 1980s, and will be directed by Joe Mantello, best known for his work in Wicked and Other Desert Cities. Since releasing Sacred Love in 2003, Sting has put out greatest hits compilations, an album of Renaissance-era lute music, a holiday LP and a symphonic album with orchestral arrangements of his previous work.